I hope you won’t do that. I don’t want you to starve. But we are not kidding that the kitchen appliances and gadgets we will show you today are indeed expensive. But hey, no one’s gonna tell you to get it or not. Yet, if you are aiming for a luxurious kitchen, then get all of these and you might own the most expensive kitchen in the world. In truth, it is the kitchen appliances that add higher value to a kitchen and not just the kitchen itself. Now, let us talk about value. Promise me you won’t faint. 1. 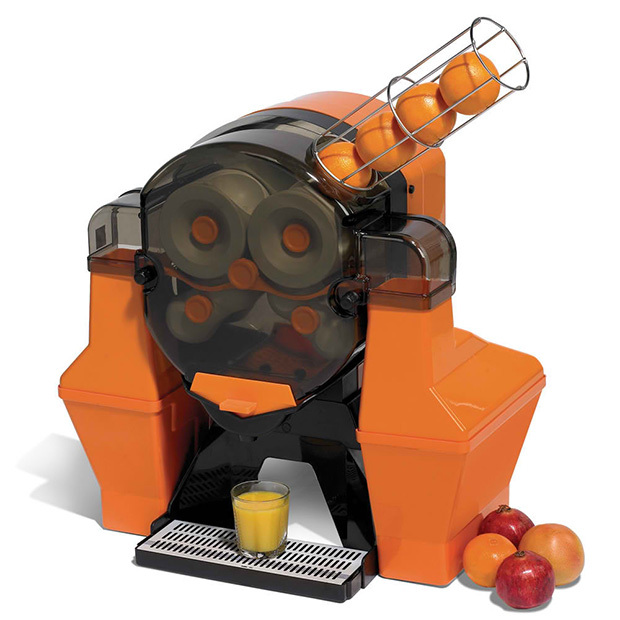 This Hammacher Commercial Juicer is priced at $9,900 and could extract up to 84 oz. of fresh fruit juice but you can’t squeeze gold out from it. 2. 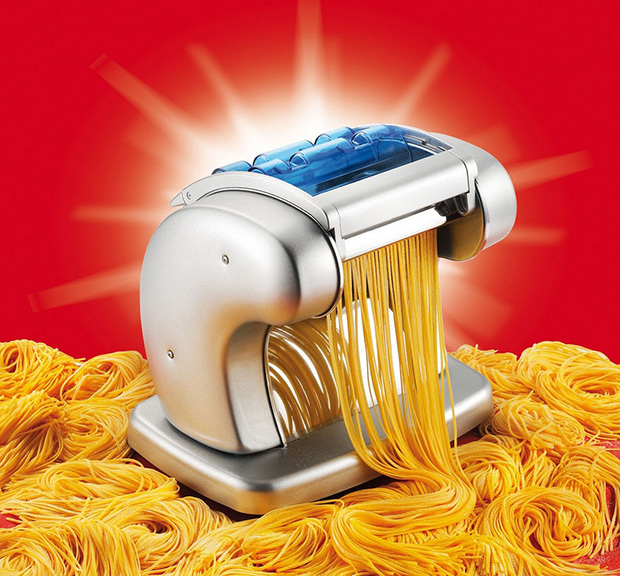 If you want to feel that excitement of making your own pasta at home, this $460 Cucina Pro Pasta Presto – Electric Pasta Machine will do. But of course, there are cheaper ones than this too. 3. 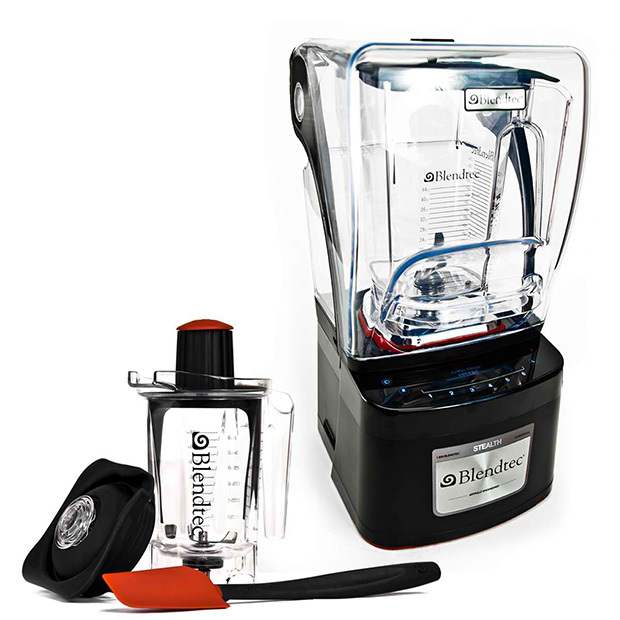 The quietest blender on the market is worth $2,300 and that is the Blendtec Stealth Blender. Now you have to decide if you prefer a noisy or a quite blender. 4. 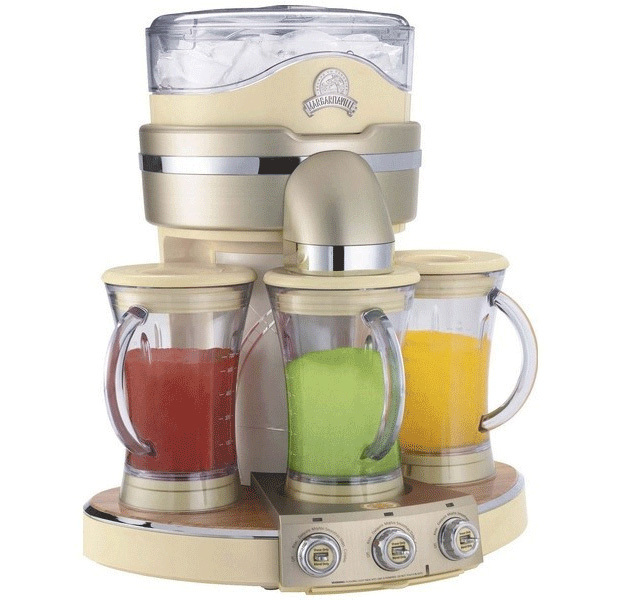 Party all night with this Margaritaville Frozen Smoothie Maker at $499.99 that can make six drinks from Mojitos and more! 5. 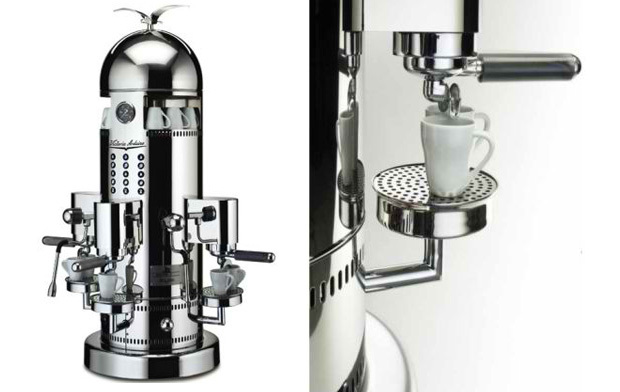 I can’t judge you if you want to spend $21,000 for this Victoria Arduino Venus Century Espresso Machine for your own espresso. 6. 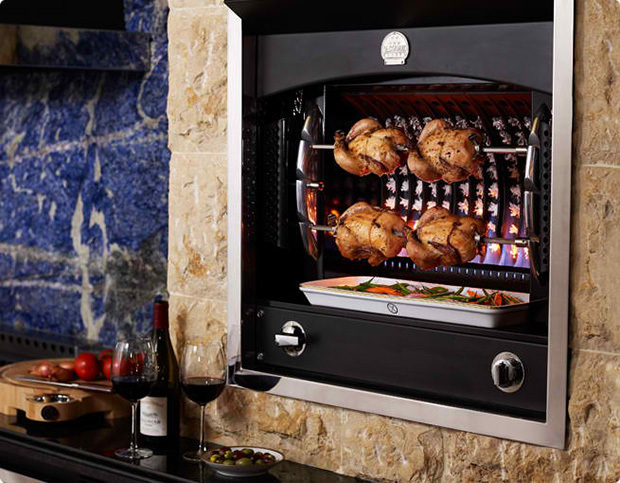 Hmmm…A juicier meal awaits whether it’s a meat, fish or poultry once you cook it in this $10,000 La Cornue Rotisserie. 7. 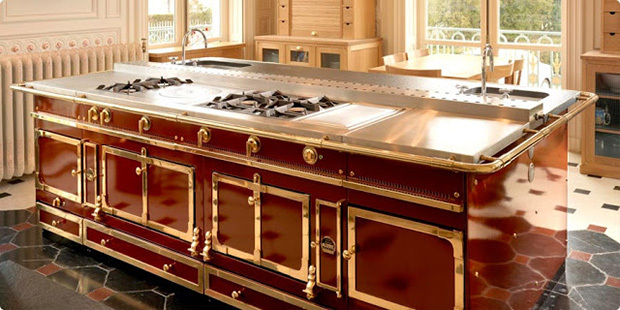 La Cornue Grand Palais Stove Range priced at $47,300+ is handmade in cast iron, steel, solid brass and porcelain enamel. 8. Don’t be shocked. 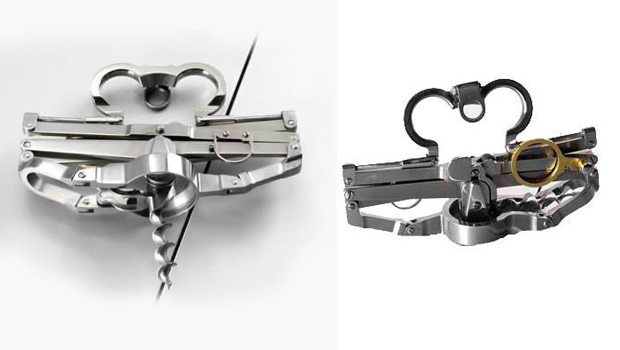 This Sveid Titanium Corkscrew is worth $71,000 made of partly titanium and partly gold. 9. 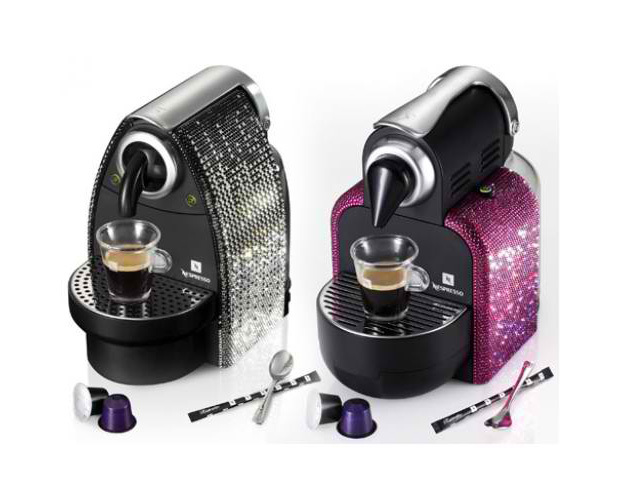 Add some sparkle in the kitchen with this $1,000 Nespresso Limited Edition Sparkle Essenza. Morning coffee will never be the same again! 10. 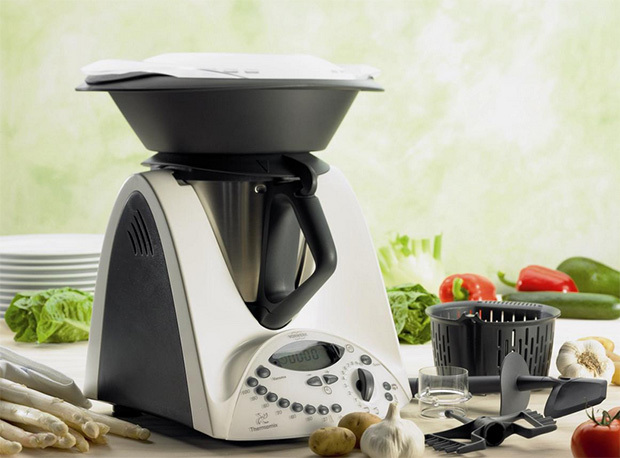 Make anything from coffee to cake with this Thermomix that amounts to roughly $2000. 11. 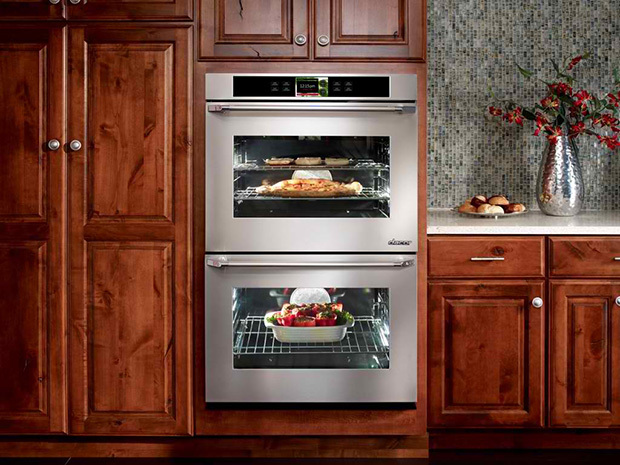 Dacor Discovery IQ 30-Inch Wall Oven is perfect for wealthy cooking enthusiasts. A single oven model is at $4,299 and the double oven is at $7,299. 12. A luxury two-slice toaster, this Swarovski-studded Toaster is worth $300 but it doesn’t add crystals to your toast. 13. 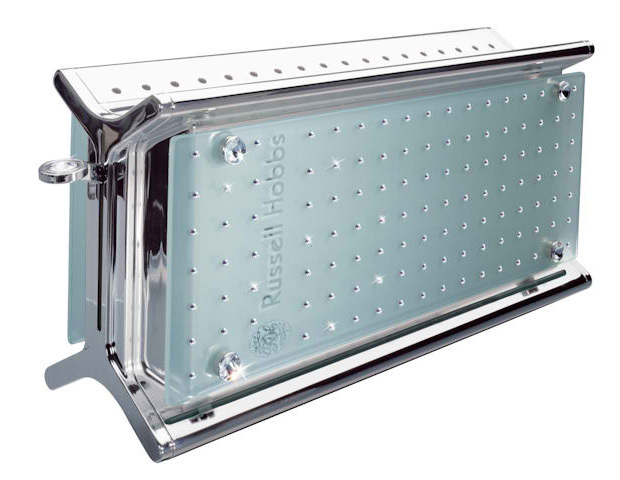 Priced at $1,925, this Wolf Warming Drawer could easily keep food warm and crispy anytime. 14. Why not make your own pizza? 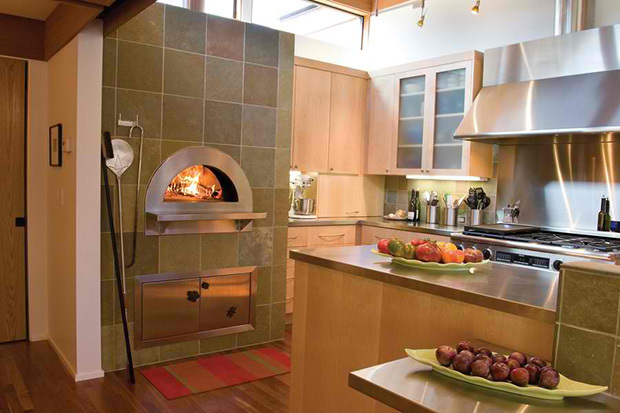 This Mugnaini Wood-Fired Pizza Oven ranges from $6,500 – $9,550. I guess, you’d prefer to just order one. 15. A $41,000 Meneghini Arredamenti Refrigerator is perfect for a kitchen that has lots of stuff to store! But don’t place the gold bars inside it please. I did not say you will be eating gold once you get all these expensive kitchen stuffs. But really, it is surprising that some people get these for their homes instead of the cheaper ones with similar functions. Well, it isn’t my money anyway. After all, what life is without extravagance from time to time, right?